FLIR Systems announced today that it has acquired Prox Dynamics, a leading developer and manufacturer of nano-class unmanned aerial systems (UAS) for military and para-military intelligence, surveillance, and reconnaissance applications, for approximately $134 million in cash. The acquisition adds unique nano-drone unmanned aerial systems leveraging Lepton capabilities to FLIR's surveillance product range. 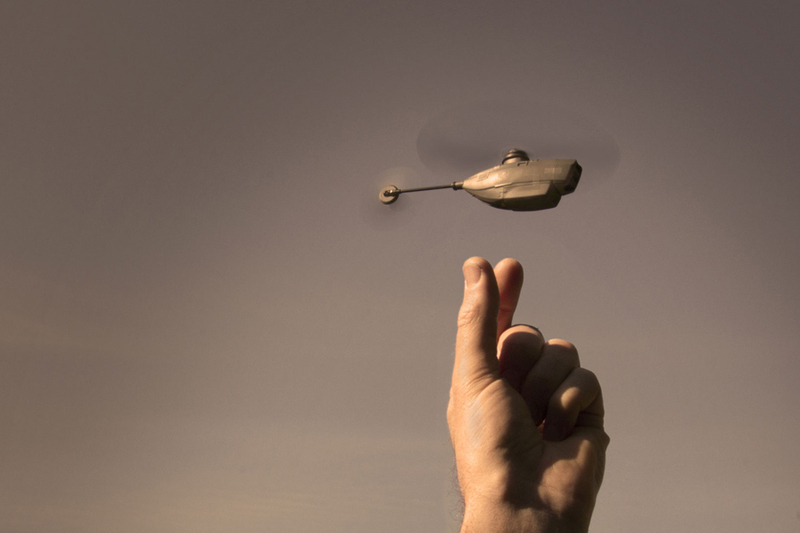 Based in Oslo, Norway and founded in 2007 by pioneers in nano helicopter technologies, Prox Dynamics develops, manufactures, and distributes aerial sensors that are revolutionarily small, light, and covert surveillance systems. Prox Dynamics’ Personal Reconnaissance System (PRS) features their Black Hornet aerial sensor and a hand controller, a system that is pocket sized and hand-launched by a soldier in the field, enabling a significant advantage in situational awareness and mission planning. The Black Hornet aerial sensor utilizes FLIR’s Lepton micro-thermal camera, visible spectrum cameras, advanced low-power rotor technology, and proprietary software for flight control, stabilization, and communications. The Black Hornet helicopter is one of the lightest, stealthiest, and safest drones in the market, offering a highly advanced, lifesaving surveillance solution for traditional military forces and special operations forces. Weighing less than one ounce, the Black Hornet helicopter can fly for up to 25 minutes at line-of-sight distances of up to one mile. The addition of the Prox Dynamics business will augment FLIR’s surveillance segment by extending its airborne sensor product line and fully leveraging Lepton technology. FLIR intends to invest in optimising the PRS platform to further enhance the range, cost, flexibility, and performance of the system. The Prox Dynamics team will benefit from close interaction with FLIR’s thermal sensor development group as well as the ability to leverage FLIR’s brand, distribution, and customer support infrastructure to better serve a global base of users. The business will become FLIR’s Unmanned Aerial Systems (UAS) line of business operating within the surveillance segment. FLIR anticipates the business and related transaction costs will be approximately $0.01 dilutive to its 2016 earnings per share.